Elisa Berghi was born in the heart of the Chianti Classico wine zone, in the wonderful ambiance of the Tuscan countryside. Being a donna Toscana, good cookery has always been close to her heart. After studying languages at the high school and working in theatres as a manager’s assistant, at the age of twenty Elisa decided to follow her passion for cooking. 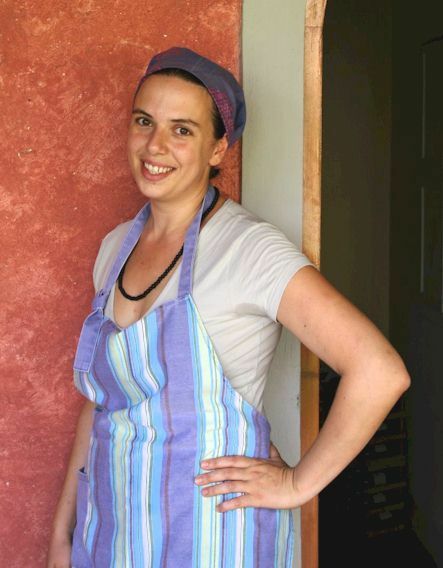 To widen her experience, Elisa began working in restaurants and training alongside professional chefs. Then came a turning point in her career. Elisa began cooking as a private chef for the culinary pleasure of others. In doing so, she began to realise how important cultural and human exchange is, and had the joy of finding this new “ingredient” in a kitchen environment. Elisa spends her time seeking out organic and local food. Fresh products and the simplicity of style are among the secrets of her delicious dishes. She loves to introduce new flavours into traditional cooking, giving a light and fresh taste to classic dishes. Elisa and Gabriele, her husband, owned an organic goat cheese farm, where Elisa realised just how important the quality of our food materials is. Now she is happy to cook for you and share the secrets of a long-kept tradition. “Cooking is a part of love”, Elisa believes. of a young Tuscan woman! Gabriele was born in San Casciano, a town near Firenze. His family has been living in the Chianti area for many generations, more than four hundred years. Gabriele’s grandparents have worked as artisans and farmers their whole lives, and from them Gabriele acquired his passion for natural animal farming and land cultivation. While in his thirties, Gabriele ran an organic farm located in Greve in Chianti where he learned to make delicious goat cheese. Later, he traveled and lived in the Swiss Alps, learning how to make cow cheese. Now, after many years of working in nature, Gabriele returns to the job of his youth: working as a vibrant host and waiter. Gabriele is fond of grilling on the Italian barbecue, and loves to cook and fry fish. At the moment, Gabriele is improving his talent of pizza making, attending a course to become “pizzaiolo”, a pizza chef. Gabriele, the pizza master, will guide you through the discovery of real pizza baked in a wood oven. He has also bought a transportable pizza oven; able to come wherever you are, no matter the location! 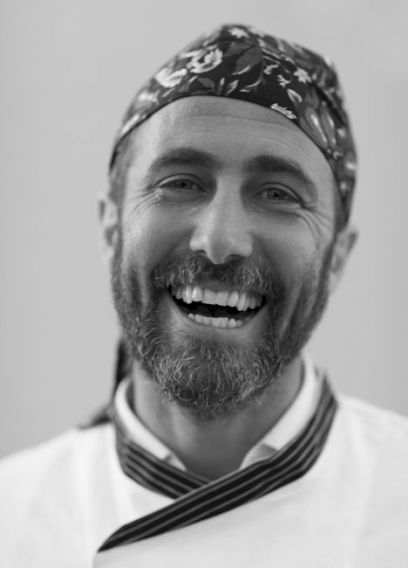 Gabriele is excited for “Pizza Lab” where he will show you the cherished secrets of pizza-making.